[Solved] How to Remove Advanced Mac Cleaner? Which is The Best Mac Cleaner in 2019? How to Find Simiar Images on Mac? Startup Disk Full on Mac? How to Fix it? How to Delete Cookies on Mac? Something You Need to Know About Mac Purgeable! Safari Slow to Load? Here is How to Fix! The Best Duplicate Photos Finder on Mac. Your System Has Run Out of Application Memory? Are you a victim of Advanced Mac Cleaner program? Find out how to remove this and clean your Mac! Sometimes browsing the internet may lead to downloading and installing several programs. Most of which however is installed unknowingly. These programs are often malicious and could infect viruses and harm your system or simply take away your information and force you into purchasing applications. So what could be the best way to get rid of these programs? Uninstall them manually or by using software to remove it. In this post, we will learn how to remove Advanced Mac Cleaner which is notorious software. Read along to find out. Part 1. What is Advanced Mac Cleaner? 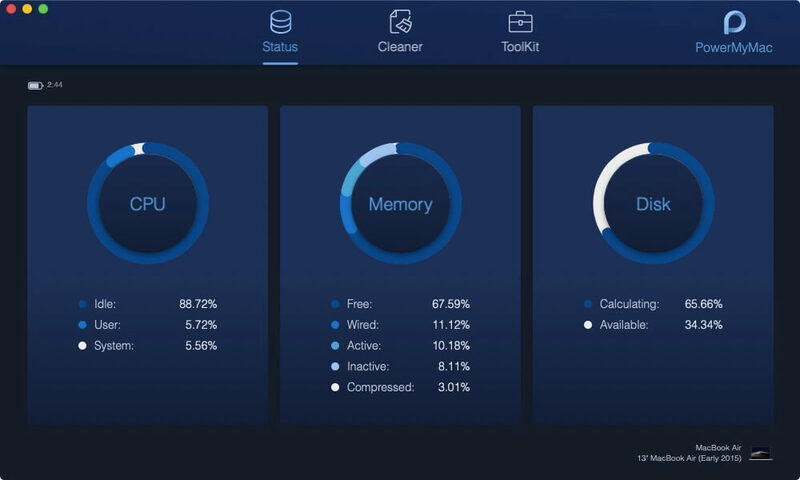 Advanced Mac Cleaner is a dangerous and deceptive application or PUP (Potentially Unwanted Program) that poses to enhance your Mac’s performance by removing junk files and the like. This is tricky software that seems to be legitimate at first sight but goes into your system without any consent. This software will fake a complete computer scan and analyses to trick you into paying for the full version to supposedly clean the fake issues it displayed. Apart from that, hackers and identity thefts are using this software to lure users into paying for the full version. There are so many PUPs out there just waiting for their next victims so you should be aware and be careful in downloading cleanup programs. If you want to know how you can uninstall Advanced Mac Cleaner, check out the next part of this post. Part 2. How to Uninstall Advanced Mac Cleaner? Not only that this software takes much of your time, but it also creates hassles and injects fear of identity theft. When you have discovered that your device has been infected with this program, act quickly and remove it. Don’t wait any longer until it may cause more issues. To better ensure that the said program did not cause havoc in your system, use an automatic tool that will locate the software and remove any related files easily. Mac Uninstaller by iMyMac-PowerMyMac provides security and cleanup features that will optimize your Mac’s performance. It has features that allow you to scan the entire device and monitor its system status. Download iMyMac-PowerMyMac on Your computer. 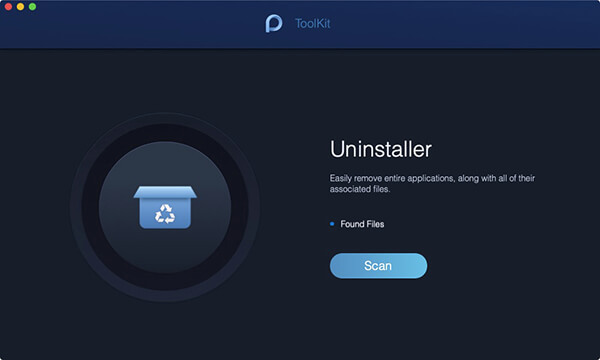 After successfully installing the program, click the Uninstaller among the "ToolKit" on the top. Allow the program to scan the entire Mac. This program will easily locate the Advanced Mac Cleaner. Find among the scanned results the program Advanced Mac Cleaner, mark the boxes all the related files and click the Clean button. Click Confirm on the pop-up window to remove the selected items. Uninstall completed. Mac Uninstaller by iMyMac-PowerMyMac is a powerful tool that efficiently and selectively removes unwanted and even old programs inside your Mac. We all know that they take up much space on the system and may clog up later on. To avoid unwanted issues, uninstall these programs right away by using this automatic software. You don’t have to endure the manual task of uninstalling programs; Mac Uninstaller will do the job for you. Click Go button and find Applications among the list. Advanced Mac Cleaner has its own website to really complete the foolishness. People who are unaware of this program will be easily tricked into purchasing the full package of the said software. They have a credible looking application but if you take a closer look and observe, there is something wrong with it. Little did they know that all these are the hoax and will only get them into serious trouble? To better be sure that the software has been completely removed from your Mac, why not use an automatic tool? Check out the next parts below. Part 4. How to Avoid Installing Potentially Unwanted Program (PUP). The main reasons for viruses and PUPs are poor knowledge and carelessness. Most of the time if we have less background in these programs, we don’t know where to go upon browsing the web and only end up installing something. This can be easily avoided by being cautious and observant about malicious sites. Therefore, be alert when downloading and installing applications. Ask questions or ask for guidance from people who are technical enough and can explain to you better. In this way, you can avoid future viruses and other harmful programs like the Advanced Mac Cleaner. We have just learned how to remove Advanced Mac Cleaner and why this program is alarming. We hope that this article has helped you in any way possible to get of the PUPs. In case you are experiencing this kind of issue, you can choose to download an automatic tool called Mac Uninstaller by iMyMac-PowerMyMac. It simply uninstalls all unnecessary programs and even monitors your Mac’s status. Have you experienced the Advanced Mac Cleaner hoax? What have you done to remove it? Comment us below and share this post to your friends in case they are in the same situation. / Mac Uninstaller / Complete Guide: How to Remove Advanced Mac Cleaner?